"Earth's Crammed With Heaven": Swappity. Here is my swap page from April! Thank you dearie! I love it. That was so much fun, and the quote is just perfect for Miss Em! Love the primas!!!!! I'm off to prep dinner, and dream up quote swaps and post card swaps and circle journal ideas!!! Oh. Big news. Bo has a loose tooth! eta: sorry about the stinking picture. Mom, click on "Here" above and you'll see it. i am so glad you like it! i was so nervous to see your reaction. threw muriels up at 2peas today too. geez..ya'll got off easy. 1 for you, FIVE for me! Your page is very cute. Love it. How cute, the picture! 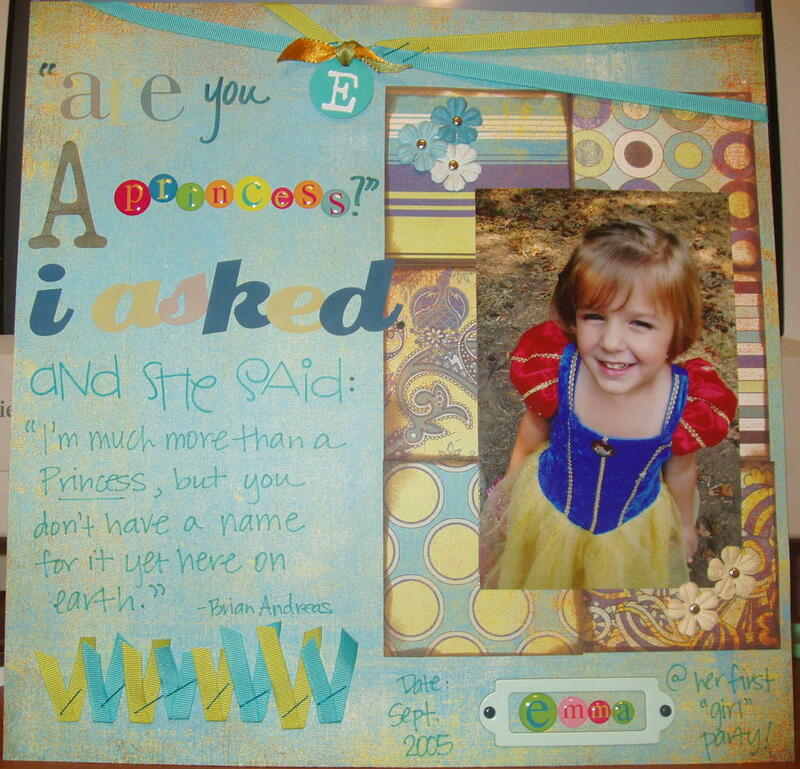 And the scrap that features our princess!